Click for more info and to download the Walkie Talkie Dream Garden app. Walkie Talkie Dream Garden is an interactive soundwalk for the Williamsburg waterfront, developed by sound artist and composer Dafna Naphtali. Part I is launching 9/15 with a kickoff event at National Sawdust, with an artist talk and led walk. 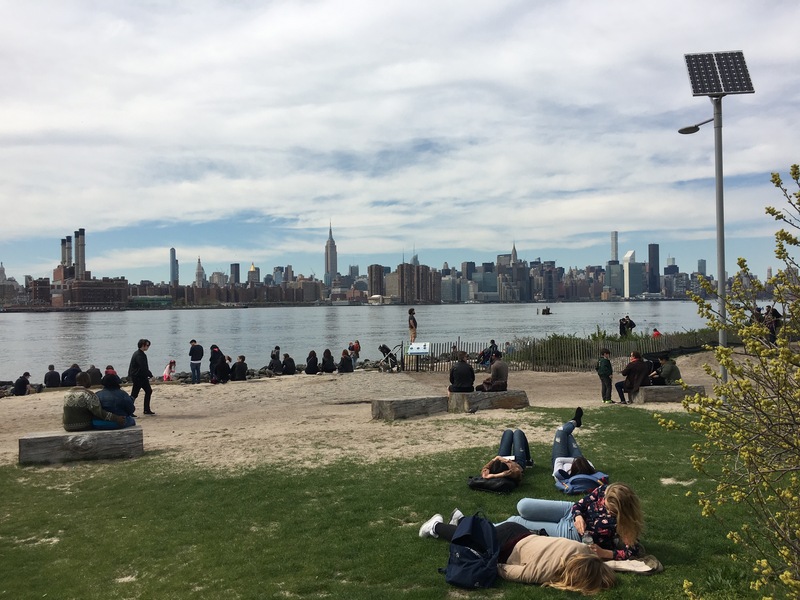 After 9/15 and for the foreseeable future, anyone can download the app to experience the walk 24/7 exclusively on-site in Williamsburg. Walkie Talkie Dream Garden is experienced via a free mobile-device app using U-GRUVE AR Audio Augmented-Reality platform by Richard Rodkin. Geo-tagged audio files, originally recorded on-site to create short electroacoustic compositions, are played / altered by the physical (GPS) location of the participants listening over headphones. Available on-site only in Williamsburg Brooklyn (NY, USA) and the Wilhelmsburg neighborhood of Hamburg (Germany), the work focusing and commenting on uniques sounds of industrial and post-industrial-artist-occupied-gentrifying areas. Also planned is full-length album to be released Fall 2018. 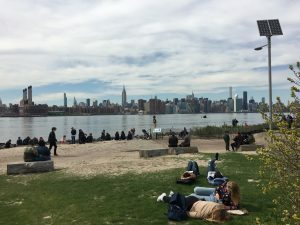 The project is with funding from NYSCA, Brooklyn Arts Council, and the Hamburg Cultural Council, and launches in Hamburg June 9, 2018 and Brooklyn September 15, 2018. 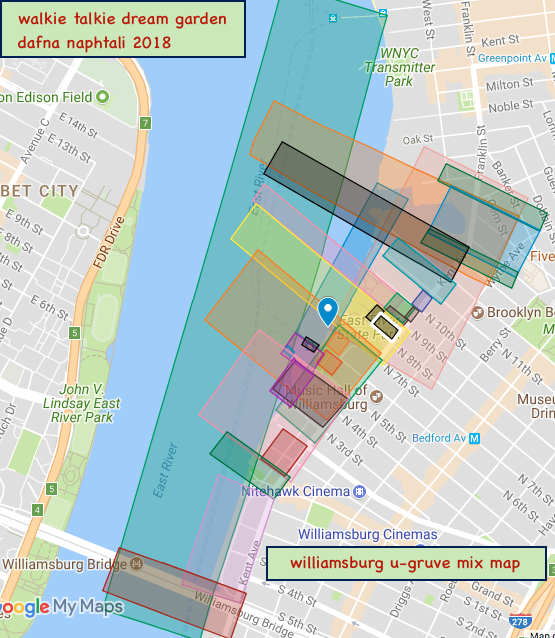 Walkie Talkie Dream Garden is being created as part of “The Wil(helms|liams)burg project”, (“w-burg”) an exchange program of composers in Brooklyn’s Williamsburg and Hamburg’s Wilhelmsburg neighborhoods, using sounds the two neighborhoods have in common. The two-year project included 2017 concerts by the participating artists at established festivals in Hamburg (48h Wilhelmsburg Festival, June 2017) and Brooklyn (NY Electroacoustic Music Festival at National Sawdust, July 2017). 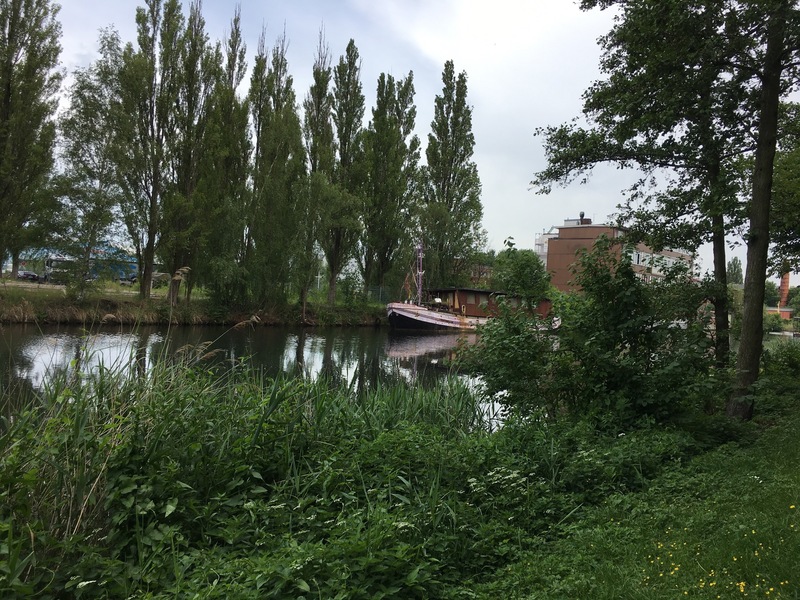 In Hamburg, Germany’s Wilhelmsburg neighborhood, the sister WTDG sound walk (launched June 2018) was created along Veringkanal from the Honigfabrik (Honey Factory), along the canal, in an walking area with small boat launches, galleries, cafes, fisherman, former factories, willow trees, wooden walkways and large structures related to its industrial past. 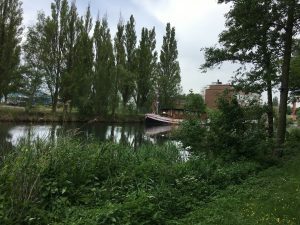 Preliminary work and site-scouting for Walkie Talkie Dream Garden began with Naphtali’s sound collection and investigation of both cities in 2017. 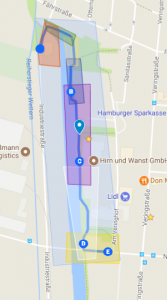 These audio recordings, along with new recordings to be made Spring 2018, will be processed, contrasted,intermingled and exchanged between the two cities, to create the sounds for the free app (iOS and Android) that launched in Hamburg June 2018 and will launch in Williamsburg, Brooklyn September 15 2018, as part of the second round of the w-burg exchange project. In both cities, Walkie Talkie Dream Garden will be presented as an interactive soundwalk and as a participatory public performance. Walkie Talkie Dream Garden builds on prior work and ideas developed while creating Walkie Talkie Dream Angles for Washington Square Park in New York City, in September 2016, also with the U-Gruve platform. Walkie Talkie Dream Angles was created for the NoiseGate acoustic ecology festival (2016), allowing participants to traverse sonically interesting corners of the park, and underscoring the loss of quiet, past and future sounds, bringing a favorite urban environment to life in a sonically unique and individual way, as I layered processed environmental sounds, I recorded on-site, with tracks of my voice, percussion, and thoughtful strategizing about site-specific listening, interactivity and attention span. Walkie Talkie Dream Angles, and U-Gruve were featured in Creative Tech Week NYC, 2017. Funding for Walkie Talkie Dream Garden comes from New York State Council on the Arts with the support of Governor Andrew M. Cuomo and the New York State Legislature, and is sponsored, in part, by the Greater New York Arts Development Fund of the New York City Department of Cultural Affairs, administered by Brooklyn Arts Council (BAC), with additional support from the Hamburg Cultural Council, and is a Harvestworks Sponsored Project.